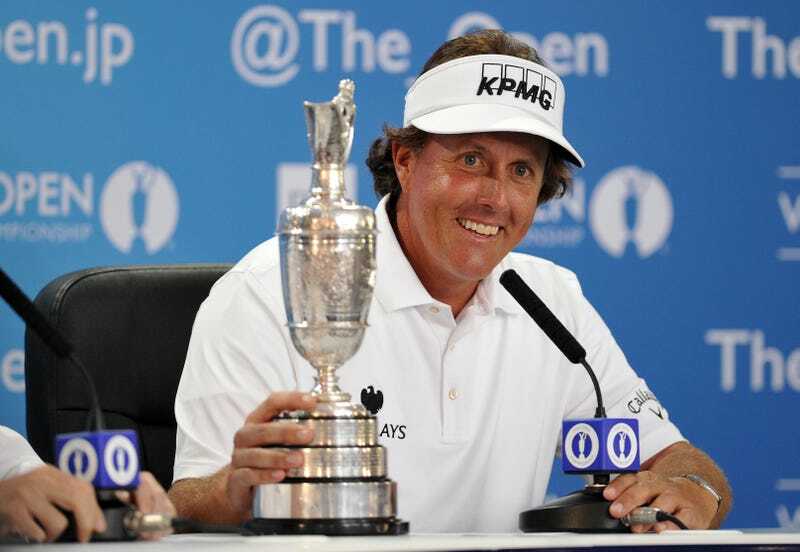 British Open winner Phil Mickelson has remained relatively quiet in the media since his win last week, but he popped up on the radar after requesting to be featured on the podcast Science Friday. What'd he talk about? Math, science and golf! Mickelson explained how, in 2003, he thoroughly upgraded his short game play with the use of putting statistics. He uses success percentages in relation to how far the ball is from the hole. For example, if it's a three-foot putt, he sees it as a "100 percent chance" of going in. As the putts progress farther away, the success rate decreases. It's an interesting philosophy, considering that greens vary depending on angles and other factors, but apparently, Mickelson's priority is the distance. "It's not always how well you putt, but where you putt from," Mickelson said. Listen to the whole interview below (starts at 7:50).